Play online with players around the world as you try to become the biggest cell of them all! Control your tiny cell and eat other players to grow larger! But watch out: players bigger than you will be trying to make you their lunch. Survive and eat long enough to become the biggest cell in the game! With new controls developed especially for mobile devices, agar.io offers the same addictive gameplay that millions have already enjoyed on PC. Play online in free-for-all action and use splitting, shrinking and dodging tactics to catch other players - or avoid them! Use a variety of special secret skins with the right username! 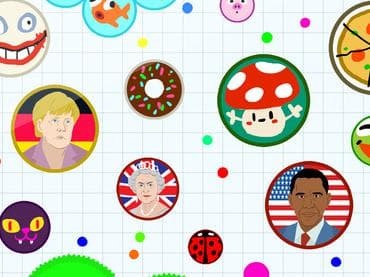 Если у Вас есть вопросы, связанные с игрой Agar.io пожалуйста используйте эту форму для связи с нами.